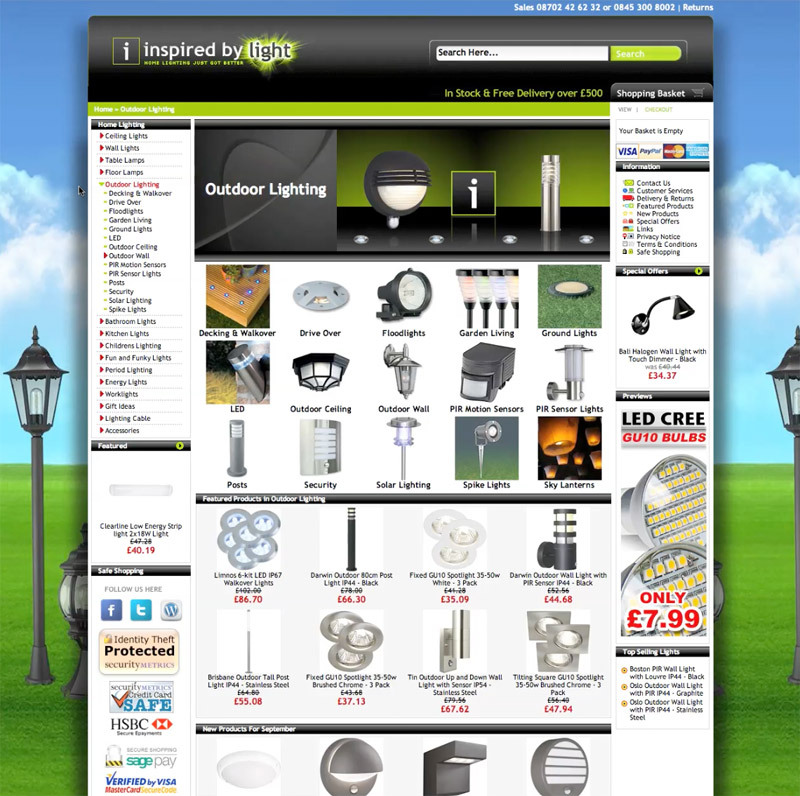 Launched in 2004, Inspired by Light were a large Internet Lighting Superstore with over 12000 products. 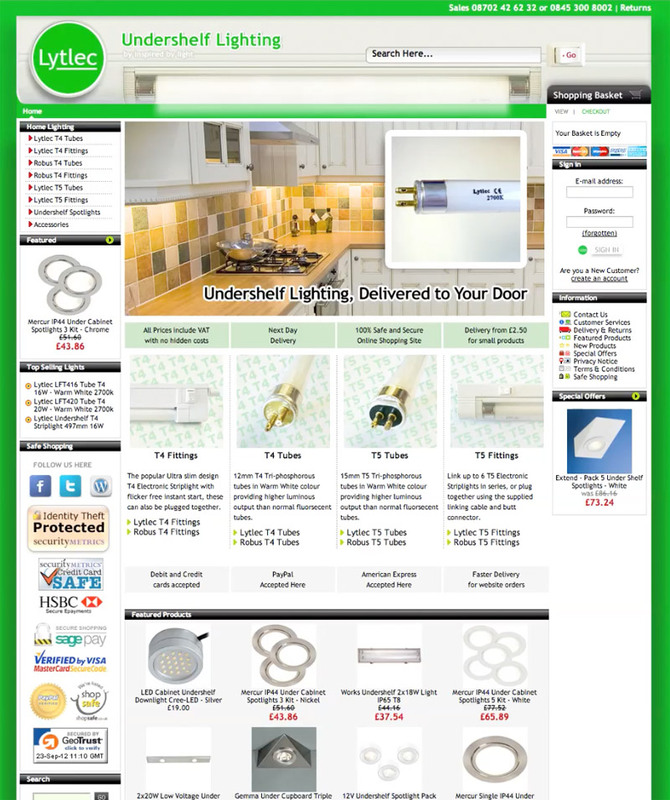 The site was built using osCommerce and customised daily to suit the business over 8 years. The front end of the store was constantly improved with tailor-made designs and enhancements, including SEO control and extensive graphic work throughout. The powerful back-end of the site boasts many built-in additions required for the retail business, such as customer searching , integration with existing Purchase Ordering software, jQuery courier tracking, fast and powerful product additions and the ability from with the back-end to take card payment transactions without leaving the customers order screen. The back-end of the site also had extensive customisation for delivery locations for the UK, based on product weight and combined with delivery location and product size. Lytlec was an E-commerce site built on osCommerce, with 200 products to maintain. The site was built using the same engine and customisations as Inspired by Light, but adjusted to suit the business model. Control Your Site can provide you with a working solution for quick and effective management of your retail store. I can provide you with the right tools to empower you. 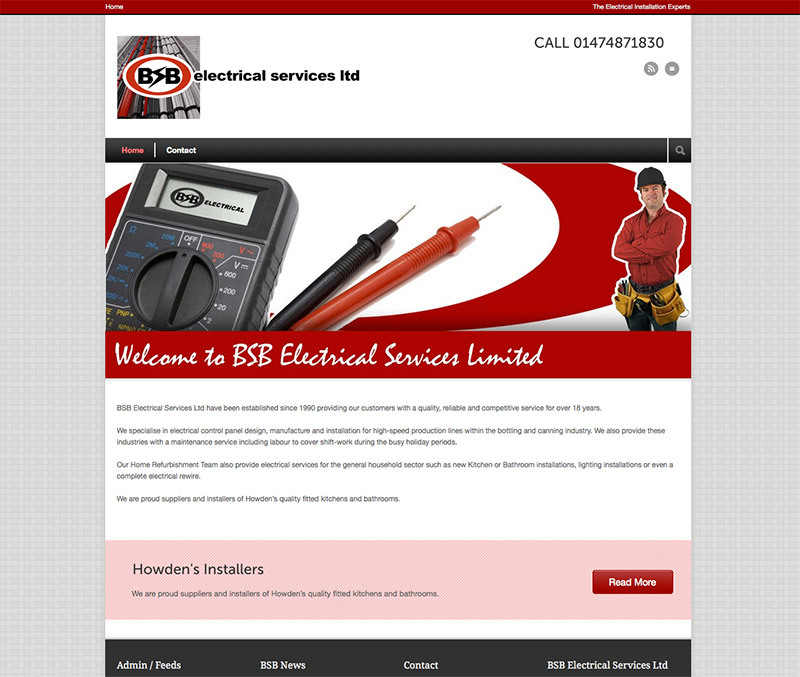 Currently undergoing a makeover for BSB Electrical Services and BSB Home Improvements.